OKAYAMA, Japan — Looking for a new way to have your child read more? Dropping off his or her favorite teddy bear at the library for a night just might do the trick. 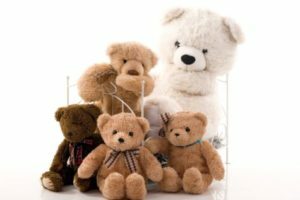 A new study finds that a “stuffed animal sleepover,” a program in which a child’s favorite plush toy spends the night at the library, may improve the child’s ability to read. Children show improved reading abilities when they take part in a “stuffed animal sleepover” at their local library, a new study finds. Here’s how it works: a child chooses a stuffed animal or favorite toy to “sleep over” at the local library. The next morning, the librarians provide the child with photos of the stuffed animal reading a book it likes — along with the book in the photos. The study was conducted by researchers from Okayama University, Kanazawa University, Osaka Institute of Technology,and Kyushu University in Japan. The experiment followed 42 preschoolers in order to see how stuffed animal sleepovers, which are a growing trend worldwide, would affect their reading behavior. The team organized an overnight “book-night party” for the stuffed animals and observed the children’s reading behavior on the day of the study, after three days and after one month. Researchers determined that children reading to their stuffed animals encourages active reading skill development versus the more passive experience of being read to by an adult. It also shared that the experience may encourage prosocial behavior. 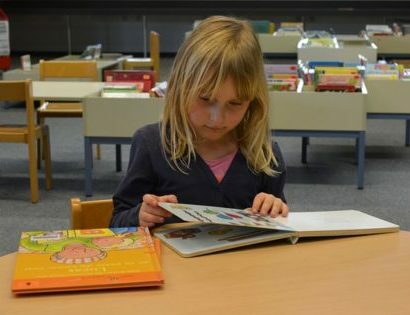 Children who believed their toys had chosen a book that they liked were more likely to read the book to the toy later. “Because early childhood is the period when children begin to distinguish between fantasy and reality, their tendency to fantasize would be one factor that determines the effect of the stuffed animal sleepover,” says Okazaki. The research, titled The stuffed animal sleepover: enhancement of reading and the duration of the effect, was published last month in Heliyon.